Biographical Statement: I specialize in digital heritage applications—both online and on-site—for research and public education. I joined the Jamestown Rediscovery Foundation, which has been excavating and interpreting the site of the 1607 James Fort for over two decades, as the Director of Digital Initiatives in 2015. In this role my focus is on the dissemination of information about the site and archaeological project through the web and social media as well as on the development of more cutting-edge digital applications, like 3-D modeling and virtual reality for educating and engaging the public. I began my career in archaeology aat Thomas Jefferson’s Poplar Forest before joining the Colonial Williamsburg Foundation’s Department of Archaeology, where I spent more than six years working on projects in both the field and lab. I then moved in the Foundation’s Digital History Center (DHC) to focus on how to leverage technologies, like GIS and 3-D modeling to engage public with Williamsburg’s history. In my time running the DHC, I oversaw a variety of projects including development of eWilliamsburg, an interactive map for visualizing the town’s growth and development across the 18th century; Virtual Williamsburg, an interactive 3-D model of the town as it looked in 1776; and websites on the American Revolution and one bringing together a network of sites interpreting slavery and the slave trade around the world. An SHA member for nearly 25 years, I have advised on digital applications through being on the Technologies Committee since it was first established in 2009 and serving as its chair for several years. I have also been involved with Computer Applications and Quantitative Methods in Archaeology, including organizing the 2009 conference in Williamsburg, for which we organized a session featuring the American archaeological societies, including SHA. Society for Historical Archaeology (SHA): From 2012 to 2015, I served two terms as one of two Graduate Student Representatives for the Advisory Council on Underwater Archaeology (ACUA). During this tenure, I worked as the ACUA’s liaison to the Academic and Professional Training Committee’s Student Subcommittee. Together, we organized four panels (one in each year) on subjects of specific importance to students and young professionals. While with the ACUA, I also led a project to publish a quarterly newsletter targeting students at universities with classes or programs in underwater archaeology. The goals of the newsletter were to highlight research across the discipline and allow students to network with one another across various institutions. Taken over by the next ACUA Graduate Student Representatives, the newsletter continues to be published quarterly. Since 2012, I have also assisted the ACUA each year in teaching a section on public outreach and education during their “Underwater Cultural Awareness Workshop” for nonunderwater archaeologists. My other committee involvement includes the Academic and Professional Training Committee’s Student Subcommittee (since 2012) and the newly formed Heritage At-Risk Committee. Additionally, I have assisted the Society for Historical Archaeology with their Public Archaeology Day events, most recently at the 2018 meeting in New Orleans. In addition to hosting a booth geared toward early education and archaeology, I conducted a televised program for children to introduce them to the basics of the discipline. I have also helped with graphic design projects for SHA’s Executive Director over the last several years and assisted with graphic design and marketing for the New Orleans Public Archaeology Day event. 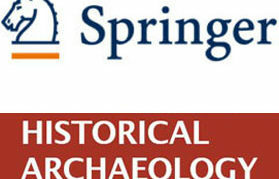 When I began my graduate career, the Society for Historical Archaeology had an incredible influence on me. I have attended the annual meeting each year since 2010 and am thrilled to be increasingly involved with SHA at a variety of levels. 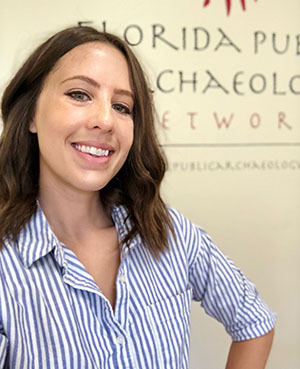 I currently work as a Public Archaeologist and Research Associate for the Florida Public Archaeology Network (FPAN) in Florida’s Northwest Region, delving into multiscalar public education and outreach projects. One of the unique aspects of my role at FPAN is the ability to partner with local, state, and federal organizations. 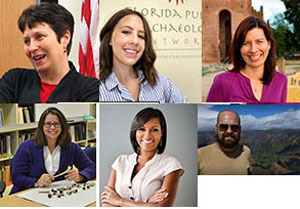 Maintaining many of these connections through SHA, I have had the opportunity to work on both archaeological and public education projects with city governments, the Florida Division of Historical Resources, the National Park Service, and NOAA (among many others). Working with a variety of partners has also provided me with broad experience shaping my personal approach to the discipline of archaeology. My academic background has always relied on multidisciplinary methodology to answering research questions; I am thus a strong proponent of an archaeology informed not only by history, but also by environmental studies, geography, political science, and social demographics studies. Drawing on this approach, my graduate and postgraduate research has thus focused on maritime communities and how they are situated within a broader historical, social, and ecological landscape. I have had the opportunity to work on a variety of projects along the Atlantic coast of the United States, with more recent emphasis on Florida’s Gulf of Mexico coast. One of the obligations of a well-informed, multidisciplinary archaeology, as I see it, is engagement in public education and outreach. Local communities, maritime or otherwise, are the arbiters of their history. If archaeologists are interested in the preservation of cultural resources, we must help create connections to the past for people in the present. As someone who is constantly engaging in public education initiatives, I have had the fortune to hone my skills as a public speaker, interpreter, web manager, graphic designer, and workshop coordinator. My experience includes developing interpretive plans for historical and archaeological resources, designing both permanent and traveling exhibits for formal museum spaces, developing public programs and workshops, and managing print and digital media for both FPAN and partnering organizations. Taking on these projects is infinitely enjoyable to me and, as I see it, infinitely important for helping archaeology remain an important consideration for community development, community and individual identity, and future legislation. >Given the qualifications and experience outlined in your biographical statement, what do you believe you can contribute to SHA if elected? Impressed by the efforts of the Society for Historical Archaeology and the many opportunities it provides to those just beginning their careers, I am honored to be nominated to run for a seat on the society’s board of directors. Although I am what many would consider a young professional, I have 10 years of experience working in archaeology and have been devoted to my involvement with SHA and smaller, local archaeological societies and civic organizations. I continue to pursue opportunities with each of these and look forward to creating an impact on SHA with my passion and perspective. Of the many contributions I can bring to SHA, I believe that my experience in public education, outreach, and interpretation are of crucial importance. Although archaeology has made great strides in bridging the gap between the academic discipline and the general public, there is still a great deal to do. International organizations like SHA can help energize and guide these outreach endeavors, creating an imperative for archaeologists working at all levels and in a variety of capacities. Whether we are students or career archaeologists, we all understand the need for archaeology and the impact that it can have on communities and individuals. Now more than ever, it is critical that we engage the public and our legislators to protect both the material cultural resources we study and the stories of the past brought to light through our research. One of the most exciting areas of public outreach that I have been exploring recently has been in virtual reality and interactive digital media. These types of outreach media present unique opportunities to bring archaeology to underserved groups and to the offices of our politicians, developers, and community managers. I believe that my work in these areas can provide insight and on-the-ground experience to the society, and I would look forward to taking on new projects to carry these efforts forward. Finally, I also feel that I can contribute a variety of practical skills to SHA. With a great deal of experience in graphic design, social media engagement, organizational branding, and writing for public audiences, I know that I can create memorable impacts on the society and assist it with its ongoing mission of advocating for cultural resources above and below the water. If elected to serve SHA, what priorities would you emphasize? With a history of over 50 years, the Society for Historical Archaeology has made a tremendous impression on archaeology and raised the international visibility of historical archaeology. 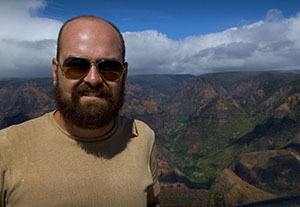 In the last few years, however, we have seen threats to the SHA’s mission through attacks on legal frameworks protecting archaeology at the federal and state levels, as well as through high visibility pseudoarchaeology that reaches a large public audience through television programming and internet news outlets. If elected to the SHA Board of Directors, I would place significant priority on two things. First, we need to continue and improve our efforts to carry out conversations with those outside of our discipline: the public, our legislators, and the media. To do this, we need to understand how to be relatable, create connections, and be impactful. Second, and toward a similar end, SHA should accelerate efforts to encourage and facilitate dialog among its members. As someone with multidisciplinary research interests, I recognize the significance of exchange and access to information. Although specialization in archaeology is absolutely necessary, it is also critical to reach across boundaries to create a unified voice that is both motivating and relevant for those outside of the discipline. Ultimately, fostering connections within the society through workshops, panels, symposia, special events, and media beyond the annual meeting will build our momentum into the future. Given the importance of these priorities, I hope to bring my energy and enthusiasm for them to the SHA’s Board of Directors! SHA: SHA Board of Directors 2015-2017; SHA representative on Steering Committee of 50th Anniversary of the National Historic Preservation Act, PEIC Committee; Council for Northeast Historical Archaeology: Board member, 2010 to present, Committee on Collaborative Preservation; Council for Virginia Archaeology Newsletter Editor. For over 30 years, I have conducted archaeological research in the Mid-Atlantic region of the United States, working at the Colonial Williamsburg Foundation, North Carolina State Historic Sites and the Maryland Historical Trust. 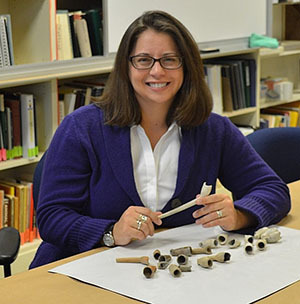 Currently, I am the Director of the Maryland Archaeological Conservation Laboratory, the state’s archaeological research, curation and conservation facility. Given the qualifications and experience outlined in your biographical statement, what do you believe you can contribute to SHA if elected? The newsletter is a significant resource in keeping members up to date with new research, job openings, field opportunities and funding sources. My past experiences as editor for the Council of Virginia Archaeology newsletter and for the Living History Classroom will serve me well in my new position as newsletter editor for the society. After working over 30 years as a historical archaeologist in museum, academic and cultural resource management settings, I have gained an understanding of the challenges faced by the diverse venues in which we practice our profession. As a director of various institutions, working with staff, board members, non-staff professionals, and the public, I have developed management skills that will help me take into account the varied interests of SHA membership when making decisions as a board member. I feel that increased public outreach within our profession is extremely important, particularly in the current political and economic climate where the humanities are under constant attack. 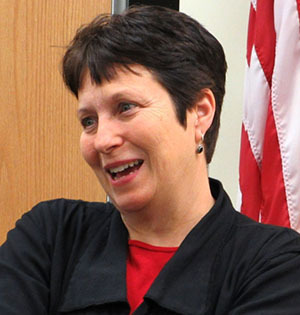 As director of the Maryland Archaeological Conservation Lab, I have made it a priority to expand access to collections, both through online research and artifact identification tools such as Diagnostic Artifacts in Maryland, Maryland Archeobotany and Archaeological Collections in Maryland, and through the development of online finding aids, such as Maryland Unearthed, to the collections curated there. Educational outreach to the public in the forms of traveling exhibits, educational modules, engaging with public schools and publications have also been a priority throughout my career. These experiences will be beneficial to my participation as a board member. If elected as Communications Editor, I would continue the excellent work of newsletter editor Alasdair Brooks in expanding the content coverage of the newsletter beyond the continental United States. While the newsletter remains an important vehicle for communicating with the membership, I also recognize that communication modes have multiplied over the last decade, reaching and appealing to different demographics. I would prioritize working with the website editor and social media liaisons to facilitate creating relevant content for a variety of professional audiences. As a member of the larger SHA Board, I would prioritize assisting the organization in working to address member needs and concerns, particularly as they relate to the current political climate. Additionally, because much of my career has been spent in museums, I am committed to working with diverse audiences in engaging the public with archaeology. As such, I am concerned with the challenges of making archaeology accessible and interesting to the public without compromising our ethical standards of site protection and integrity. I am committed to furthering the accessibility of archaeological data and research resources through web-based media. Alexandra Jones, Founder and Chief Executive Officer of Archaeology in the Community, is an education leader focused on community outreach and service. Dr. Jones has been an educator for more than 16 years; she has taught in multiple educational environments from primary schools to museums, colleges and camps. She obtained dual Bachelors of Arts degrees from Howard University in History and Anthropology in 2001. Dr. Jones became a classroom teacher and discovered she had a natural talent for teaching. 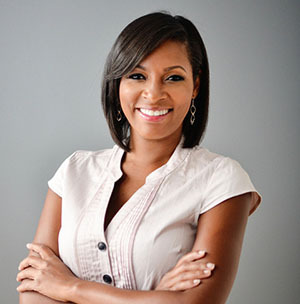 In an effort to further her career as a teacher she continued her education by obtaining a master’s degree in History from Howard University in 2003 and then attending University of California, Berkeley to obtain a Ph.D. in Historical Archaeology in 2010. She currently teaches people of all ages about archaeology. 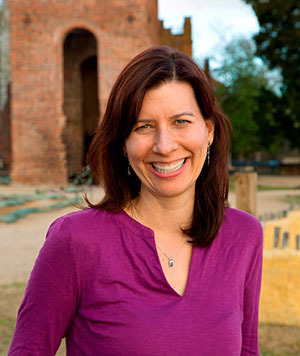 Dr. Jones worked for PBS’s television show Time Team America as the Archaeology Field School Director, where she directed field schools for junior high and high school students at each of the sites for the 2013 season. She is currently an Assistant Professor at Baltimore City Community College and an Adjunct Professor at the University of Baltimore. I have an extensive background in working with and educating the public on archaeology, I feel I could bring those talents and skills to SHA to help foster its relationship with people outside the field of archaeology. I would emphasize maintaining a system where the nominations process is fair and equability for all who apply and are nominated. I am an historical archaeologist who works in the Middle Atlantic region of the United States. I have a multidisciplinary professional and educational background in archaeology, historic preservation, anthropology, material culture studies, and history. I am an Assistant Professor of Historical Archaeology in the Department of Historic Preservation at the University of Mary Washington where I teach archaeology, introduction to preservation law and practices, architectural history, and material culture studies. My work and research interests focus on two main topics: the archaeology of trade and consumerism and African Diaspora archaeology. My research into early-colonial trade in the Chesapeake has centered on individual consumption practices, piracy, identity studies, and the origins of capitalism. My work and teaching experience has focused on the archaeology of African American and plantation life in the antebellum, postbellum, and Jim Crow Upper South, with an emphasis on cultural landscape studies. Recently, I have been developing a research project focused on contact-period Native America in collaboration with a Virginia State Indian Tribe. I have worked at several historic sites and museums, which has fostered a professional and teaching interest in public education and community outreach. I am particularly interested in questions related to social memory, commemoration, and how archaeology and historic preservation can and are used in public presentations of history and for social activism. Some of my recent work has focused on collaborating with local descendant groups and avocational archaeologists to conduct archaeological and historical research for use in public interpretations at local historic sites and museums. I am a strong advocate for collections-based research with a focus on the use of a multidisciplinary approach to artifact studies. 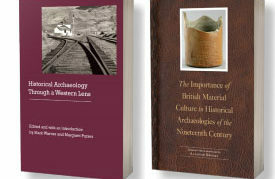 Both in my teaching and research, I focus heavily on the use of previously excavated and orphaned collections to ask new questions of “old” assemblages as a way to combat the curation crisis we all currently face and to encourage best collection’s management practices among the next generations of archaeologists. I have collaborated with other researchers in the digitization and online accessibility of archaeological data, a priority that I continue to emphasize among my student researchers at UMW. If elected to the Nominations and Elections Committee, I would bring a multidisciplinary perspective to the committee focused on the intersection of archaeology and historic preservation with additional emphases on undergraduate education and public outreach. As preservation laws, regulations, and funding are increasingly under attack, a detailed understanding of these practices is needed to ensure the future of our profession. I am particularly passionate about supporting the cultural resource management industry. CRM practitioners are the front line in the protection and educational efforts related to archaeology and preservation, especially as related to public understanding and appreciation of what we do. A focus on public outreach and stakeholder involvement is essential if we are to convince lawmakers to support our work. As an undergraduate educator and current Co-Chair of the Council of Virginia Archaeologists’ Public Outreach Committee, I stress the importance of public involvement in any research project. I always tell my students, if the public does not think what we do is important they will not support it and thus legislators will not support it. What we do is inherently interesting to many different communities and it is essential that we have leaders within the organization who know how to engage diverse groups of people. Over the past several years, I have become increasingly interested in nontraditional and first-generation student education. 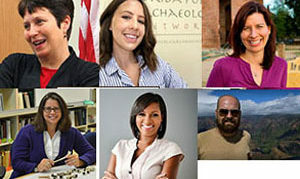 I have found that often times, these students, who have had previous careers and experiences prior to finding archaeology, are some of the most passionate and effective advocates for archaeology to the general public. I also see nontraditional and first-generation student education as a way to increase diversity in our field. I understand diversity in a variety of ways including race, ethnicity, gender, nationality, and socioeconomic status. As an educator, I believe we must recruit and encourage these diverse groups of people to enter our profession. If elected to the Nominations and Elections Committee, I would emphasize two main priorities: the protection and support of preservation legislation and research funding; and the increase in diversity in our profession. These two goals are intertwined with and cannot be achieved without a purposeful and meaningful emphasis on public outreach and engagement. As a member of the Middle Atlantic Archaeological Conference Nominations Committee in 2016 and 2017 and as the current Program Chair, I actively sought out CRM professionals and candidates from diverse backgrounds to run for board positions and to serve in key roles within the conference, a priority that I would continue as a member of the SHA Nominations and Elections Committee. For the past 10 years I developed research in Maritime History and Archaeology in French West Indies through several ways from nonprofit organizations to academic studies. By this experience I managed to initiate projects in order to structure research dealing with maritime history in Lesser Antilles from field work to heritage management and research of funding. This experience gave me an expertize knowledge on Colonial maritime West Indies archaeology and history. In my current position I may go further in research, I am presently running a global project “Maritime History and Archaeology of Lesser Antilles” in collaboration with several colleagues and institutions as Drassm and Dac of French Culture Ministry. Also by teaching and as supervisor Undergraduate program of History department I may initiate and consolidate students interest for past, archaeology and history in every days’ lectures or heading of students in M.A. Given your qualifications and experience, what do you believe you can contribute to the ACUA/SHA if elected? My academic and field work experience may help better develop ACUA and SHA. The location of FWI in an American geographical context but under French regulation concerning heritage could help in order to develop research and promote protection in needed areas. This external point of view could be useful as well for ACUA and SHA. If elected, what priorities would you emphasize taking into consideration the ACUA and SHA missions and goals, ongoing committee activities, and the management and financial challenges of the Society? I am very interested in supporting the ACUA’s relationship with UNESCO and the preservation of underwater heritage especially in the Caribbean and around the world. 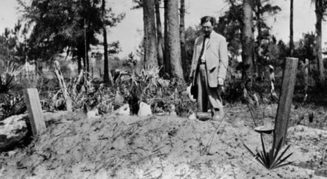 I would like as well to help in order to help to develop academic research in Historical Archaeology by emphasizing the link between archives and field works. I may also help in linking teams within the Caribbean but also with French institutions dealing with heritage and underwater archaeology. SHA and ACUA are great organizations that have helped me greatly during my career; I would be honored to return that assistance to its members. ACUA/SHA: none to date. While I have not had the opportunity to serve ACUA/SHA or other cultural heritage societies, I have served in a professional capacity on other similarly functioning bodies. Over the past decade my career focus has centered on preservation and public engagement. My interest in underwater archaeology began through participation in an avocational survey of a Great Lakes shipwreck in the 1990s. That initial experience showed me the value of professional archaeologists working with the public and the profound effect it can have on attitudes towards preservation. This not only fueled my interest in archaeology, but opened my eyes to the threats facing heritage resources and the need for increased protection. After earning an M.A. I chose to get to work in the public sector, taking a position within the Office of National Marine Sanctuaries. I believe there are significant gaps in the legal framework that applies to UCH and there is an immediate need to establish protection for vulnerable sites. As such, working within a federal agency that has the capacity to legally protect UCH holds great appeal. Now in my 10th year in this position I have had the privilege of focusing most of my efforts on this very goal. 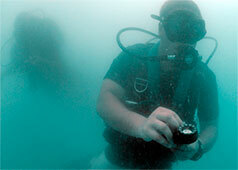 My research with NOAA has centered on battlefield archaeology and studying WWII shipwrecks off the U.S. East Coast. This has given me the privilege to work with colleagues throughout the preservation community, utilize a wide range of survey technology, and provide engagement opportunities for avocationals via NAS training. The most challenging and rewarding aspect of this effort is applying the research towards the development of public policy. This has given me experience in taking archaeological research and developing management plans, drafting regulations, writing environmental impact statements, and holding public hearings. As a result, NOAA is now considering expanding the boundaries of the Monitor NMS to include dozens of vulnerable wreck sites. I feel my background in operations/project management and public policy will be valuable to ACUA. In my current position as an archaeologist working for a federal agency I have gained a great deal of experience and insight in how academic archaeological work can inform development of new approaches in cultural resource management. If elected to ACUA I believe this experience would be valuable in helping to communicate ACUA issues or concerns in terms that federal resource managers understand. I have experience in developing and executing research projects that are both academically rigorous as well as having deliverables pertinent to the development of public policy and resource management. ACUA is a body governed by ethics and public programs are governed by laws. While these are often consistent there are certainly gaps that leave some categories of resources unprotected or unmanaged. Communicating how ethical positions could be translated into laws or rulemaking and then advocating for their implementation is an area where I think my experience is valuable. Likewise, I have had a great deal of experience working with avocational groups. Many of these groups initially find the academic and professional archaeology scene a bit intimidating. I have consistently encouraged participants that I have trained via NAS to attend, and in some cases, present at SHA. I feel that involving divers and the general public is the best way forward towards community buy-in, particularly as it relates to preservation and implementation of new regulations. I would encourage both ACUA and SHA to develop more public-facing initiatives that focus on inclusion of the general public. ACUA’s mission to educate scholars, governments, sport divers and the general public about underwater archaeology and preservation is critically important. If I am elected to serve the ACUA I would emphasize the importance of advocacy in preservation initiatives, especially in the government sector. Many state and federal organizations are limited in their ability to self-advocate and it is often difficult to communicate their needs directly to policy makers. ACUA can be a powerful voice in advocating for and supporting initiatives that effect the preservation of archaeological resources. As a body, voicing our stance on ethics and support for preservation can meaningfully assist government managers in their efforts. Communicating the importance of these initiatives is especially valuable in this time of shrinking resources across state and federal programs. Activating not only the board, but also individual members of ACUA/SHA to write congressional representatives and speak loudly and persistently on behalf of cultural resources is an area where I think I can contribute and best serve the mission and goals of ACUA. With regards to the business of ACUA I am eager to support internal initiatives and help with basic management and coordination of ongoing needs. I have experience in operations management and managing programmatic finances and am more than happy to support the needs of the organization. Likewise, I believe in strong networking, partnerships and creative solutions to meet operational and financial needs. Should I be elected, I am committed to being an active contributing member of the council. I am a Mexican archaeologist, and for the past 15 years, my career in underwater archaeology has focused mainly on the research and management of UCH in Mexico. I have had the opportunity to work in many of the different types of underwater sites such as lakes at high altitude, sinkholes, and different sea and coastal archaeological contexts. 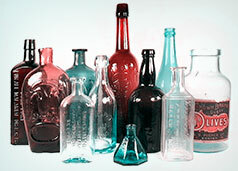 These contexts range from the prehistoric to modern. During my time at SAS, I have directed several projects and have implemented exhibits and other means of communicating to the public the results. For this work one of my projects was recognized last year by UNESCO as best practices in underwater archaeology. Currently I direct the area of Underwater Archaeology for the National Institute of Anthropology and History of Mexico. I believe I can provide an alternative view point on issues of UCH from a Mexican perspective. I think one of the main goals would be to maintain ACUA as an important organization to foster the interests of UCH around the world.